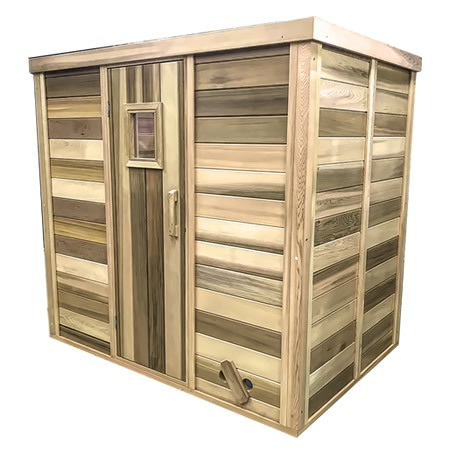 ​This sauna is made out of 38mm clear Canadian Western Red Cedar (WRC) interlocking logs for the best insulation and sauna experience. 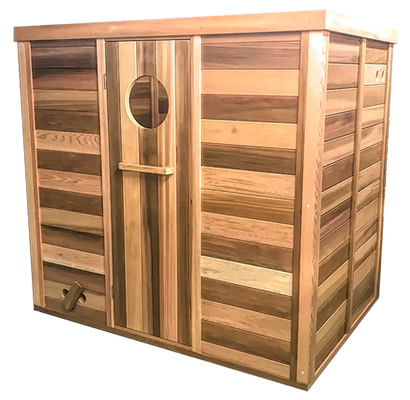 All Ukko Cedar Log saunas are 100% Australian made and come with 3 years structural guarantee direct from ​NSW south coast factory. This traditional Finnish hot rock log sauna is perfect for outdoor and indoor installations. It is easy to install - simply follow supplied installation manual. You can even choose which way the door opens. And if you stuck during the process, there's always 24/7 phone or email support available at no extra cost. 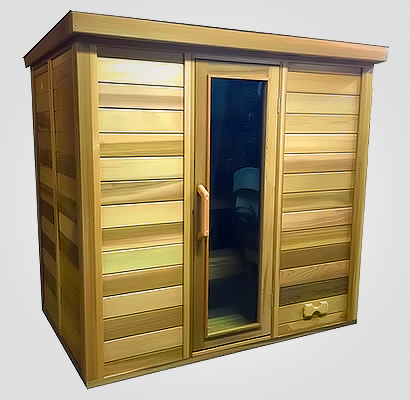 ​This unit supplied complete with 6.0kW sauna heater that must be direct wired in to a single or three phase power supply. Note: All electrical connections must be done by certified electrician. 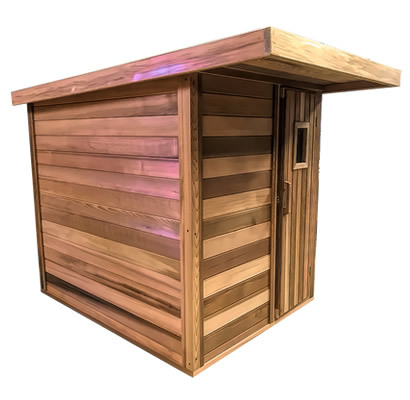 ​Pre-built clear WRC 38mm solid log sauna walls and ceiling. ​Pre-hung glass door in Cedar frame with handles and roller catch. 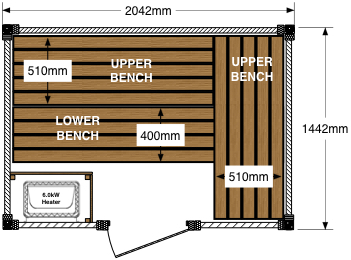 ​L-shape upper & lower benches. 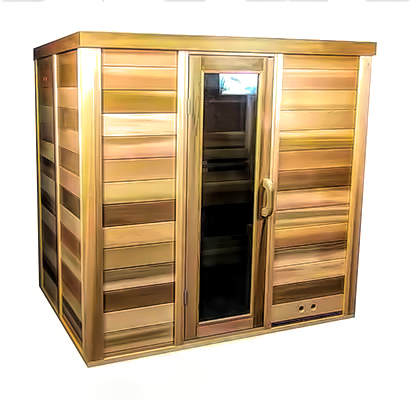 6.0kW sauna heater with built-in controls and genuine sauna rocks. 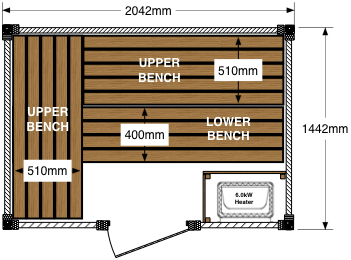 Sauna accessories – bucket, ladle and thermometer.